Wagner – Judgement Day – Page 02 – Giant Space Lizard! Jim: It seems like we’ve been waiting here for THREE YEARS. Jim: That is not a thermometer, it’s not 2pm Celsius. It’s just 2 pm. Plain old, regular 2 pm. 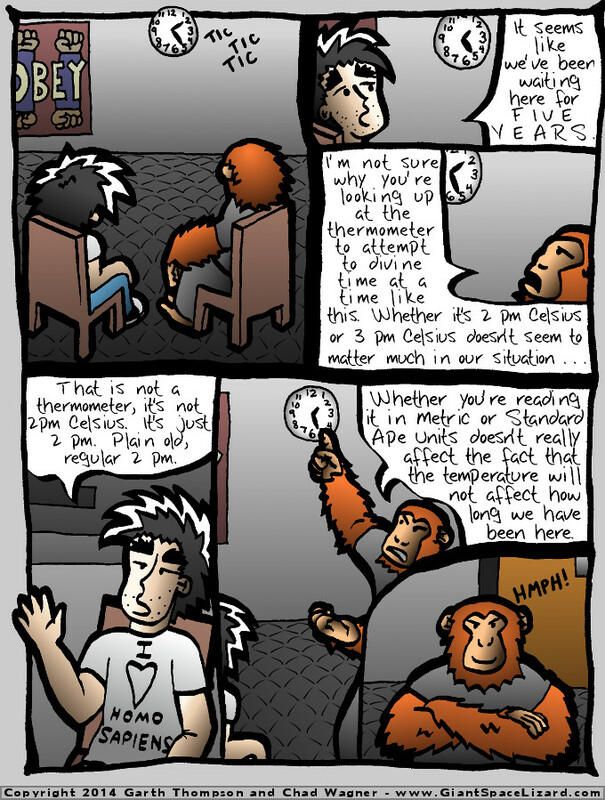 Koko: Whether you’re reading it in Metric or Standard Ape Units doesn’t really affect the fact that the temperature will not affect how long we have been here.